The Esse 500 is a multi fuel stove. the glass has a curve on the top edge & secondary air wash system to keep it clean. 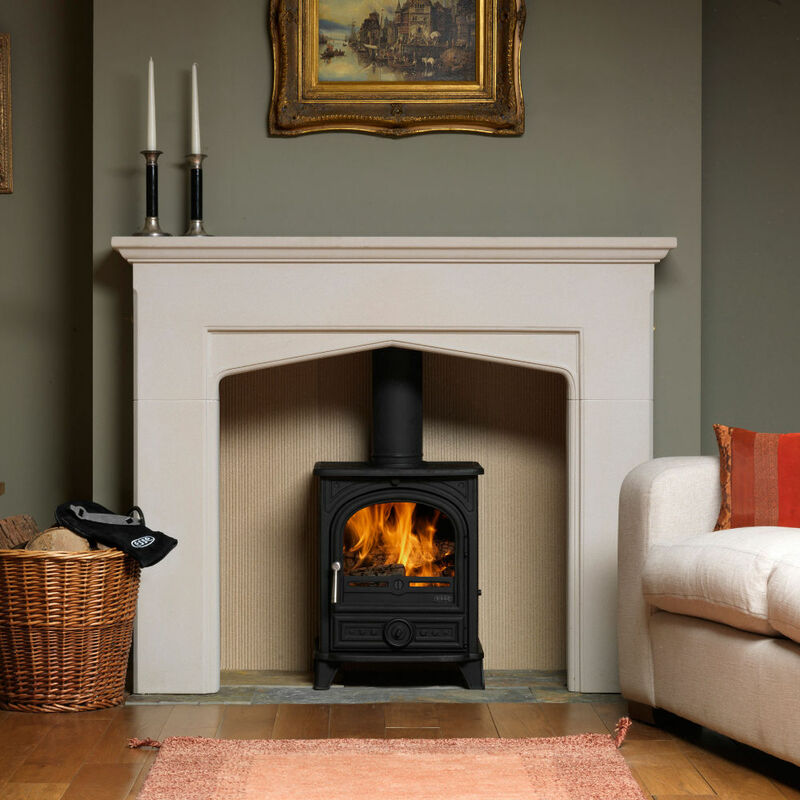 Some Esse stoves are cast iron while others are a mixture of steel & cast iron. Stove expert replied: Very surprised by this experience, Esse is a well established manufacturer, it did take several years for the failure. Difficult to explain why, I have not heard of similar experiences. 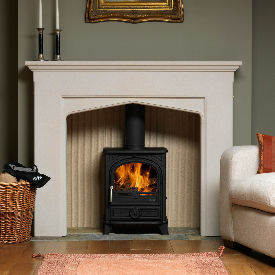 Stove expert replied: Did you try alternatives fuels to see if they still blocked the grate system. Different fuels may burn to a finer ash and therefore would not get caught in the grate, they do vary greatly so trying more than one fuel is a good policy to adopt until you find the one that suits your stove best. The Esse is OK until I load the fuel, then I open the door and its still OK until new fuel is added. This smokes and comes out of the door and into room and stinks the room out. Esse 500 A Good Stove! Stove expert replied: Air wash controls are normally open when slid to the right and closed when to the left, you should be able to see the change when the stove is lit if you can't see anything from the outside of the stove. Esse 500 Air wash adjustments ! Stove expert replied: A flue damper may well have done the same job and the airwash will have been made in the way that Esse require it so altering quite possibly invalidates your warranty. Replaced all removable parts within 2 years - most within a year, parts replaced regularly, now at age 4yrs the back has fallen off. I won't buy an ESSE again. Stove expert replied: Very disappointing comments.